Exercise cramps may occur at random and unfortunate moments—just ask a tennis player whose leg cramp ends a match prematurely. What can you do to prevent them? 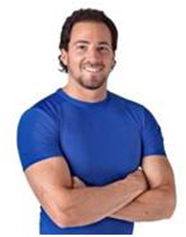 Ever since I began personal training in Tolland, CT in 2003, a number of clients have asked me what causes cramping. I used to believe it was related to electrolyte imbalances, but despite decades of research, exercise cramps remain a mystery. Often the affected muscles are in the foot or leg. Nocturnal calf cramps, which are very common, are not connected with exercise cramps. 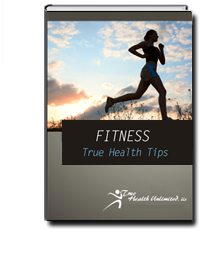 • Exercise cramps have long been blamed on an imbalance of electrolytes. These are minerals in the blood—notably calcium, sodium, and potassium—that help regulate blood pressure and have other essential functions. Strenuous exercise can deplete them, but there’s little evidence that this causes cramps. • Dehydration (which would adversely affect electrolyte balance) has also been a prime suspect. Again, there’s no evidence for this. It’s true that cramps are most often reported in people working, or working out, in hot, humid conditions—which is where the dehydration theory came from. But a well-designed study from the University of Cape Town, South Africa, found that people with cramps are not more likely to be dehydrated or have low concentrations of electrolytes. • Drinking lots of water to ward off an exercise cramp is standard advice, but again there is little to back this up. Some researchers, often working for sports-drink manufacturers, blame sodium loss from sweating and recommend salty, sweetened sports drinks to help prevent cramping. Again, evidence is scarce. • Despite what you may read on the Internet, vitamin and mineral supplements do not prevent exercise cramps. • Being in poor physical condition, as well as extreme fatigue, may bring on a muscle cramp. • Certain medications and some medical conditions, including atherosclerosis, may bring on cramps. But most people who get cramps are in good health. 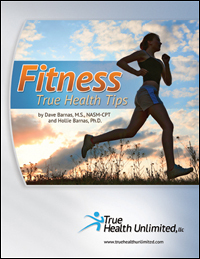 • The key to preventing exercise cramps is proper training. 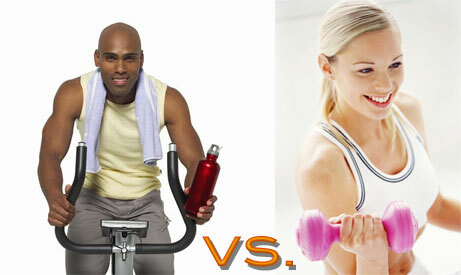 For ordinary exercisers that means, for instance, increasing the intensity of workouts gradually and not overdoing it. • To halt a calf cramp, flex your foot by pointing it up toward your shin. You can grab and pull the toes and ball of your foot to help flex it. • Massaging the muscle may help and the use of a roller massager is the ideal way to achieve this on your own. It may be uncomfortable at first due to muscle tightness, but persevere as this helps to break up tissue that might be limiting your range of motion. • Some people find that heating—or icing—a muscle cramp brings relief, though that may not be practical when exercising. • The following stretch may help relieve a calf cramp: Stand two to three feet from a wall, with feet perpendicular to wall; move one foot forward about a foot from the wall. Lean forward, with forearms against the wall, rear knee straight, and rear heel on floor. Hold for 10 to 30 seconds, then switch legs and repeat. Done regularly, this stretch may also help prevent cramps. Additional information on helping you understand the different types of stretching that might be best for you can be found in Fitness True Health Tips ©. This entry was posted in Fitness, Sport & Competition Nutrition. Bookmark the permalink. ← What is Online Group Coaching?